Now there's a challenge I can really get excited about. One of my earliest quilts was a log cabin quilt. and found that it hadn't been completely quilted yet. Does anyone remember those little tagging guns that shot out red plastic tags? A quick way of basting a quilt. There were a bunch of them still left in the quilt. those red tags were the least of it's sins! 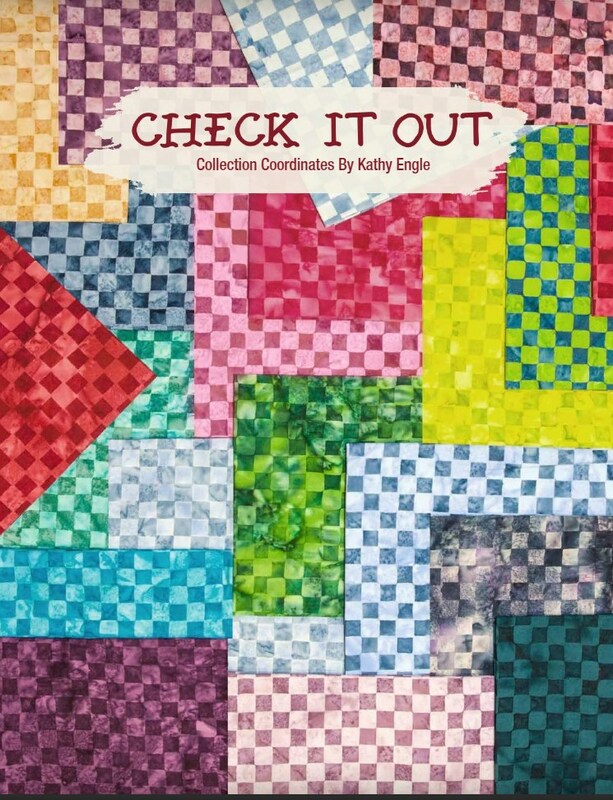 I pulled out fabrics from the "Check it Out" by Kathy Engle. This is one of the fabulous new "Island Batik" fall lines. Here's my fun 44"x 44" version, of a Cozy Log Cabin Quilt. that I had to add them to the applique border, just to set it off! This pattern was inspired from Debbie Kratovil's "Pixie Sticks" pattern that appeared in the March/April "McCalls Quilting" magazine. I used a Hobbs Tuscany cotton wool blend batting. Batting with wool in it, drapes so nicely. for providing me the fabrics and batting for this project! This is a terrific quilt, great fabric. Those checks look terrific set in the border circles. A different take on an old favourite block pattern - definitely looks very modern and I like it! Great quilt with fabulous fabrics and that border just puts it over the top. A stunning quilt, and the border is the icing on the cake! That is a great quilt, Joan! I love log cabins too, and was my first ever large quilt - thanks to Eleanor Burns! It is in the top of my closet still waiting to be quilted. Now, I have to quilt it! LOL I hope it hasn't dry-rotted after all this time! Thanks for reminding me!! 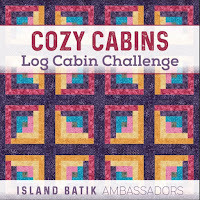 Wow, I never would have thought to use checks in a log cabin quilt like this. The result is stunning and I will have to re-think my use of checks. That is quite something! 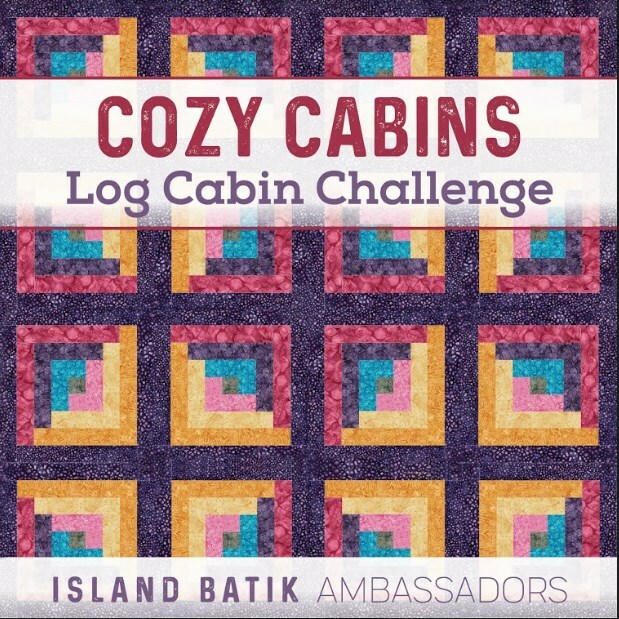 I love the way it turned out, never would have thought of using them for the log cabin challenge - and it really gives it a terrific optical illusion. Would you believe I've never made a log cabin quilt. Now I want to! I love the way it looks kind of squiggly...very cool!